I was first introduced to Gilt through their travel partner Jetsetter. A friend on the West Coast — who also is married to a pilot and always looking for great travel deals — sent me an invitation to become a new website called Gilt.com. Of course, there were perks for her if I joined, which I did. I invited other friends on the West Coast who, like me, loved to shop, loved deals and loved designer apparel. Several of the friends I invited were working professional moms who had no time for themselves. The thrill of buying a designer bag at a fraction of the cost while juggling their family responsibilities without ever leaving home quickly became addictive. Today, that addiction is shared with more than five million members. This site, which once hosted two or three sales per week, now hosts more than 22 sales every day. 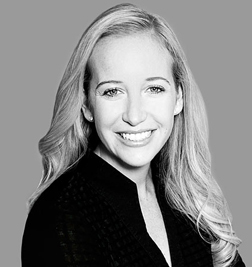 I recently had the opportunity to meet Alexandra Wilkis Wilson, Founder of Gilt and Head of National Sales for Gilt City, at the Texas A&M University Retailing Summit 2012. Created in 2007, Gilt founders recognized a market opportunity to start online flash sales in the United States and introduce consumers to a new, exciting ecommerce experience. The book By Invitation Only: How We Built Gilt and Changed the Way Millions Shop by founders Alexis Maybank and Alexandra Wilkis Wilson details how this innovative company transformed online shopping and grew to be valued at $1 billion in only five years. Primarily a business book, By Invitation Only is especially appealing to anyone who enjoys retail therapy. The book is filled with dozens of checklists from “How to Make a Great VC Presentation” to “Leadership Styles” to “How to Hire and Retain Top Engineers” while demonstrating the absolute importance of building and executing a solid brand. Can you talk a little about the dynamics early in the business? The world was changing, our business was moving and we had so many ideas we wanted to test. The adrenaline felt incredibly intense for probably the first two years. After having been in the online marketplace for about five months, the women on The View mentioned Gilt; our membership nearly tripled in only 24 hours. Of course, the overnight growth was both exciting and completely unexpected. We did not have the inventory to meet our overnight demand. There were many sleepless nights during that time as our merchandise continued to sell out too quickly. Startup businesses require flexible and adaptable leadership and employees. That’s sounds like it is in sync with your corporate culture? Yes, we created a corporate culture that was initially a mixture of tech personality combined with fashion. A lot of the cultural values of our company had more technology characteristics, and I think that was really good. We also have a culture in which people are not penalized for failure. They are encouraged to take risks; they are encouraged to push the envelope, brainstorm, pivot and not be afraid to try something and fail. There’s not a big fear of failure, and I think that’s really important for a culture that revolves around innovation. What is Gilt doing differently today as a brand, and what do you see the company doing differently in the future? The way we have marketed the brand has really evolved a lot over the past five years. We recently had our five-year anniversary, and we actually launched our first-ever TV commercial, which is a sign that we’re trying new things and investing in different channels and mediums. The response so far has been very positive. The company grew so quickly, and we felt that it was time to play in the bigger leagues, test something new, measure the response and go from there. So far, we are really pleased with this decision. How does a national organization become “hyper-local”? Our initial strategy was very grassroots and event-based. We held small, influencer events that typically got a lot of press coverage in local magazines and newspapers. We connected with the local “It Girls” — young women in their early 30s who co-hosted cocktail parties and movie screenings. We replicated that in a number of key cities across the country. The strategy is far more digital than it was originally, and a lot of what we can do is based on technology algorithms. I was intrigued by the term you used in the book called the “gamefication of retail” — explain what that means? We wanted to bring the fun and excitement of sample sales to the online shopping experience. The feedback we got from our customers was always the message of “I won! I beat out all the other customers!” We realized that this shopping experience was like an exciting and competitive game. People had a sense of pride when they moved quickly on a sale and got a great purchase. Rather than being discreet about having bought a discounted item, they were excited to tell everyone because they felt as though they had been a part of the “winning” process. What are 3 keys things retailers should be focused on for future success? Retailers need to be focused on their online business. All big retailers should think of their ecommerce platform as their flagship; it should be the biggest store. The whole fashion industry has to make some adjustments to the concept of “buy now, wear now.” We start selling fall products on our site in October/ November, not in July. I think that the way that deliveries and merchandising in general work have to keep up with that. Mobility is key. Retailers that are savvy to that are doing the right thing. Retailers need to have good, well-functioning apps so the customer can buy from their smartphones and tablets. Uber is a great app for people who travel a lot, as is Skype. I use those two a lot. I also love FreshDirect. This awesome app allows users to order a fridge full of food in just five minutes!